Avg. Group Discount of 2.7%! For a truly unforgettable Jamaican vacation visit an enchanting little resort in a storybook setting. Where smiles and laughter fill the air and warm memories fill the soul. 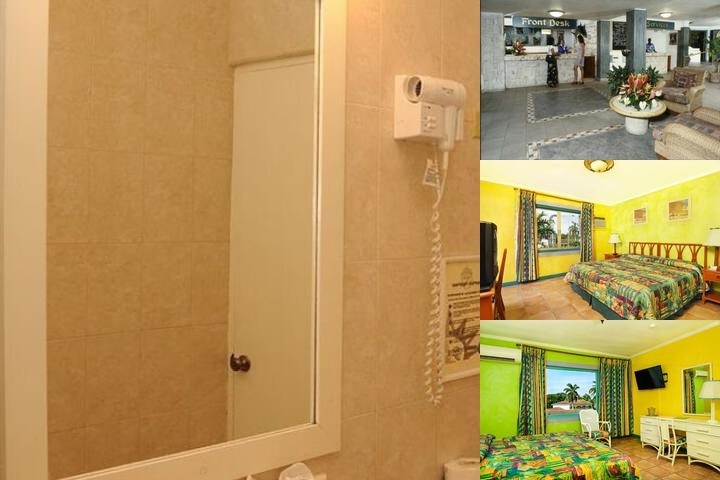 Visit the intimate Doctors Cave Beach Hotel in Montego Bay, Jamaica. Sunny accommodations that are modern and spotless. An attentive staff that is thoughtful and courteous. Doctors Cave Beach Hotel is serenely secluded and yet strategically located. Just a short hop from the airport, mere steps from world-famous Doctors Cave Beach and moments from tennis, golf, horseback riding and Jamaica's colorful markets and duty-free shopping. Our freshwater outdoor pool is open from 6am to 11pm. 21 days required on groups. The nearest airport is Sangster International (MBJ), which is 5 minutes from the hotel. A taxi will cost US$ 8-10 depending on the number of persons. We offer a free continental breakfast. Full Breakfast can be arranged for groups over 20 at an additional cost of US$ 12 per person daily. 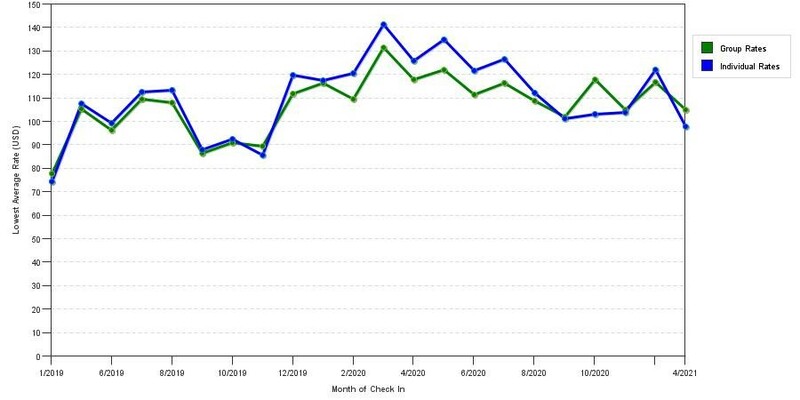 This chart illustrates fluctuations of sleeping room prices for both group quotes and the best online individual traveler prices our rate checker could find at the time the group offer was entered. The lowest group or meeting displayed is 12.2% in the month of September 2017 and the highest average individual rate is $138 in the month of December 2019. This chart will show past seasonality and also project future months. If you are flexible with dates, you may want to consider staying at Doctors Cave Beach Hotel in a month when rates are lower.